AB Bank is known as one of leading bank of the country since its commencement 28 years ago. It continues to remain updated with the latest products and services, considering consumer and client perspectives. AB Bank has thus been able to keep their consumer’s and client’s trust while upholding their reliability, across time. During the last 28 years, AB Bank Limited has opened 77 Branches in different Business Centers of the country, one foreign Branch in Mumbai, India and also established a wholly owned Subsidiary Finance Company in Hong Kong in the name of AB International Finance Limited. To facilitate cross border trade and payment related services, the Bank has correspondent relationship with over 220 international banks of repute across 58 countries of the World. We assure the best return to our shareholders’ by commenced performance over a rolling year. We provide secure, satisfying employment, ensuring the contribution of each individual to the success of ABBL. ABBL’s main objective is to maximize profit through customer satisfaction, which very much reflexes the idea of marketing concept. Its objective is to remain objective. The bank will support al constructive reforms that are in the national interest and encourage more competition and choice for the people. besides investment in trade and commerce, the bank will participate in the socio economic development of the priority sectors like agriculture, industry, housing and self employment in the country. It also wants to ensure high return on investment, sound growth and profit and service with different service products. Prime bank ltd. Standard bank limited Sonali bank ltd.
Shahjalal Islami bank ltd. Exim bank limited Janata bank ltd.
IFIC bank Premier bank Oriental bank ltd. Maximizing diverse business platform reach. Reap benefit with expansion of corporate business base through “nurturing” of existing clients while propagating the growth strategy. Diversification of business into SME, and retail while aligning with regulatory priorities. Aligning operational procedures, information systems towards business goal achievement and service delivery. Maintaining adequate Capital to support growth and also to remain compliant. Development of risk culture and also impart corporate governance with a view to bring professionalism, transparency and accountability. Enhance AB’s image as a corporate citizen through compliance and focus on value driven CSR. In recent times, CSR is receiving increasing attention in the business world, government policies, industry events, advertising space, and other arenas in these parts of the world. Although the concept of CSR may have been formally introduced through to the financial sector of Bangladesh in 2008, chiefly by Bangladesh bank however, in similar approach, the local banking community has been involved in benevolent activities. AB, which has remain a responsible member of the society seems its journey that begun 28 years back, has indeed duly played its societal role of business. AB, however, feeling the need to carry out its social responsibilities in a more organized way, formed Arab Bangladesh Bank Foundation (ABBF) in the year 2003, which eventually became the vehicle for specific program oriented CSR activities of the bank. AB conducts it CSR in 2 ways- policy driven and through direct participation in specific programs. However, AB intends to adopt CSR practices, more in the formal and structured manner in light of the Bangladesh bank guidelines for mainstreaming CSR practices in the financial sector. Future efforts of the bank in respect of CSR will include more involvement of its stakeholders in terms of their expectations and needs in order to incorporate more responsible business practices in all of bank’s functions and operations with a goal to fulfill social, economic, environmental, and ethical responsibilities of the bank. Total involvement for CSR activities stood at tk. 1.77 crore at the end of the year 2009. AB channelized this CSR outlay in diverse areas judging from need and importance it attaches to the bank’s perspectives. ABBL believes that CSR is first and foremost a commitment to contribute to the society for improving the quality of lives of its people, particularly for that segment of the people who are under privileged and less fortunate in terms of basic needs such as food, health, education, housing etc and also alongside to remain a sincere benefactor of the country’s rich heritage of arts, culture and sports. Besides addressing the basic social needs of the country, AB also believes that CSR can be a genuine platform to address growing environmental concerns, more even when Bangladesh is likely to be the most affected country in the world due to climate change caused from the irresponsible and unrestricted carbon emissions by the western developed nations, a dreadful fact acknowledged by the world leaders in the Copenhagen Climate Summit held in December 2009. AB has always tried to respond to the changing needs of the society and stood besides the affected one’ sin times of crisis of the world, be it a natural disaster or tragedies taking place through immortal act of man. In the past, ABBF participated in disaster relief operations for the landslide victims in Chittagong, SIDR affected people of the coastal areas and for the flood affected people across the country. Bank also ran a media campaign for SIDR Rehabilitation Program at that time which later won the “Best TVC Jury Award” from Bangladesh Journalist Association. ABBF donated a substantial amount to Bangladesh Organization for Disabled Advancement (BODA) for making the disabled blinds self-reliant and skilled through a special training called “Applied ICT”. AB also made donations to organizations like “Wahidul Haque Karmo Parishod” and to “Monir Smriti Sangsad”. AB’s CSR activities also included contribution of the treatment of prominent cultural artist, donation for procurement of training, room equipment for the DSE training academy, etc besides regular sponsoring in different publications in the form of advertisement which are not widely circulated but regarded as sincere efforts for the benefit of the society is also viewed by the bank as a part of its CSR activity. The bank also ran and awareness campaign in a private radio station for creating awareness among the general public about the bad impact of money laundering in local economy. The awareness campaign was a unique idea undertaken by AB that received acclaimed, had a daily broadcast for 6 months as a stretch on “Radio Today”. Recently, ABBL has awarded “International Quality Summit Award-2010” in Platinum Category and “Certificate of Merit” for best published accounts and reports 2008 in the 9th ICAB National Awards for their great contribution in banking sector and economy of Bangladesh. Standing beside the families affected by BDR tragedy. Warm clothes/blanket distribution to the affected underprivileged and destitute people. Donation to Bangladesh Organization for Disabled Advancement (BODA). Support to Cancer Care Center. 2nd AB Bank- IUT national ICT festival 2009.
Business continuity plan is the creation and validation of the practiced logistical plan for how an organization will recover and restore partially or completely from the interested critical (urgent) functions within a predetermined time after a disaster or extended disruption. BCP is intended for use by the Staff of Head Office Division and Departments and Branches of ABBL. Loss of or loss access to, critical buildings (including utility failure). Loss of systems or services (critical e-commerce failure). To ensure that the bank’s business activities can be carried out at home or from some other location. Provide alternative arrangement when working at home is not practical after a length of time. Documents design for each departments of head office and branches with action plan. Immediate actions during office hours and outside office hours. Alternative processing for branch business activities. Emergency resources (office, computer and special equipment). Sound profitability and growth with internal capital generation. High concentration on fixed deposit: high cost. Scope of market penetration through diversified product. Increased competition for common market share. Large number branches including rural areas. Poorly diversified portfolio. Opportunity for launching new products relating to deposit and credit and also SME Banking. Market pressure for lowering of lending rate. Strong CAMEL ratings by Bangladesh Bank. Centralized decision making. Scope of expansion through increase in number of branches. High intensity of rivalry in the industry. Strong and experienced top level management. Lack of full scale automation. Providing complete online banking. Unstable or changing government rules and regulations. Consistent capital growth of the bank since its inception. ATM operation not widespread like DBBL and SCB and other strong rivals. The initiative of expanding its ATM & POS through Euronet. Political instability and related issues. 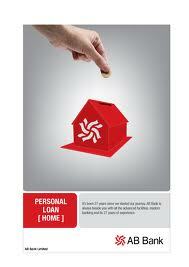 Offering highest interest rate on deposit. Inefficient real time on line banking. Meeting Basel II requirements. Low concentration on SME & Consumer Credit due to weak CRM.